Austen demonstrated his passion for the people and the area of Covent Garden by leading the charge against the destructive development plans in the 1970s. 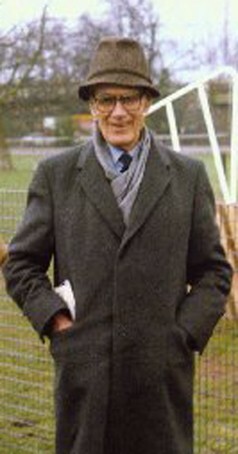 Reverend Austen Williams, known familiarly as “Austen”, served as the Vicar of St. Martin’s-in-the-Fields from 1956 to 1984 and was a major figure in the community backlash against GLC development plans for Covent Garden. Invited by an upstart architectural student to a protest meeting on 1 April 1971, Austen felt he could hardly stay out of the conflict. He immediately joined the cause with charisma and passion, becoming the first chairman of the Covent Garden Community Association (CGCA), which was created on that day. At the Inquiry of the GLC Plan, he testified to the deeply entrenched social ties of the community and the sad and utter lack of interest in public participation demonstrated by the planners. After his evidence was dismissed as irrelevant by the Inquiry officials, Austen appeared to grow more radical in his efforts to help save Covent Garden. He boldly led group demonstrations and protests, the largest of which took place in Trafalgar Square in 1973. Other members of the clergy and local authorities were shocked by his involvement in the quarrel and tried to get him to come to a compromise. Fortunately for Covent Garden, Reverend Williams wouldn’t budge. Eventually the GLC Plan was dropped, but the necessity of redevelopment remained. The Covent Garden Forum was set up to allow the GLC and the CGCA to negotiate; Austen remained the CGCA chairman during this tough period. After the Action Area Plan was settled on as relatively agreeable to all parties, the Forum faded. The Community Association endured, and when the GLC was dismantled in the 80s it created the Covent Garden Area Trust to manage the properties left behind in Covent Garden. Austen was one of the founding Trustees of this group. His wise grass-roots leadership is widely acknowledged to have been indispensable and a major reason for the success of the Covent Garden campaign. This page was added by Anne Bransford on 07/11/2012. I found this fascinating,what an amazing man!